There has been much discussion around happiness and the opening of our hearts to truly experience passion and energies which have a profound effect over our ability to elevate our emotions and increase productivity, relationships and success in life. But with all this in mind, exactly what is happiness? A few years ago I arrived at Hong Kong international airport earlier than anticipated and purchased a book by Professor Richard Layard called ‘Happiness’ In this new edition of his landmark book, this book shows that there is a paradox at the heart of our lives. Most people want more income. Yet as societies become richer, they do not become happier. All the evidence in the book show, that on average, people have grown no happier in the last fifty years. So with this in mind, can money buy love, or even happiness? It is certainly natural to believe that success will bring you happiness, but a variety of psychologists, including Harvard’s Shawn Achor, have argued that this common sense understanding is actually backwards. Success does not make you happy so much as happiness makes you more successful. Interesting enough, something as simple as writing down three things you are grateful for or three things that you have intentions towards, every day for 21 days in a row can significantly increase your level of optimism and happiness. Happy and unhappy people have the same pain and trauma. 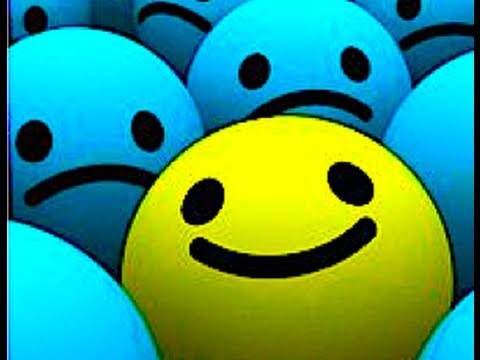 The difference is happy people have a disposition which helps them bounce back very quickly. When you cultivate a happier attitude, you become less dependent on external sources of validation, and trust your thoughts, emotions and behaviours. Many organisations wrongly assume that employees dealing with things like stressful commutes or worrisome family problems can simply check their emotions at the door. Most cannot. But there are steps that both employees and employers can take to reset the bad moods that compromise job performance. One important way employees can reset a negative mood on their own is by creating an intentional transition. That might mean stopping for a coffee, listening to a favorite piece of music or taking a more scenic route to the office. It Is more than just a feel good strategy, it can set the stage for making a better impression at work. In terms of relationships and happiness at home, according to a new Brigham Young University study published by researchers Lori Schade and Jonathan Sandberg, romantic couples who text each other with confirming messages (“How are you?” “How’s it going?” “I miss you!” “I feel tingly just thinking about you!! !”) tend to experience greater relationship satisfaction. Confirming messages are best conveyed with an emotional dimension – communicating essentially: “I care about you,” and “You’re important in my life.” In fact, sending affectionate messages to one’s partner yield even greater emotional satisfaction than receiving them. On the other hand, couples who rely on texting for conflict resolution tend to experience lower relationship satisfaction. When texting, vital verbal, non-verbal and emotional cues are invariably missed, which can severely limit a couple’s ability to reconcile. Another great post Geoff. We all want to be noticed, and it does not have to be a huge \’notice\’ either. Your points about little messages that we are being thought about, that you have done your hair differently and I like it, or that you had cleaned your room, all make a difference. It creates connection. Also, reading about a teacher sharing his thoughts with his new students, saying \”I am not a mind reader, I need you to tell me what is in your heads and your hearts\”. The head bit is easy, but how much more enriching would it be if we truly shared all that is in our hearts. Thank you Colin, for your words of kindness. It’s a true statement that small gestures of thoughtfulness, surprises and small messages do provide immense amounts of happiness, Perhaps this is a subset of positive thinking, yet it is such an important aspect that it deserves a place all by itself. Grateful people are happy people. Gratitude is best expressed in writing, talking or sending poetry to your loved one, is a sure way to increasing happiness. \”There is no greater achievement in life than to be love.\” Author unknown. I believe there is a indisputable relationship between those who respect, admire and love you and your happiness in life. However, my caveat to that statement is that you must have done something for those people (or that person) other than just something you do naturally/regularly in business or in life. Thus, giving of yourself in a special way to promote others to respect and admire you, of your own free will, will promote happiness within you. Happiness is also contagious. Surround yourself with happy people and you will feel the same. Happiness is achieved from the things we like, which is a combination of nature and nurture. Find your way in life and you will also find happiness. Happiness comes from within, so if you set out to be happy, you will be happy. Just don\’t do something that makes others to be unhappy in your goal to be happy. These are only my opinions and they have no scientific fact basis but I am happy to let you know that I set out each day to be happy and I feel that if I succeed in that, I will also succeed in life. Thanks for posting this article Geoff! Many thanks for your comment Tom, I agree that there is no greater achievement or gift in life than to be loved or to give love, there is another quote I am very fond of \”Life without love is like a tree without blossom and fruit by Kahil Gibran. There is one step to creating happiness. It is to express love. When you express the emotion of love you create happiness and joy within yourself. Happiness is not just a state of mind. Happiness is also a state of emotion. 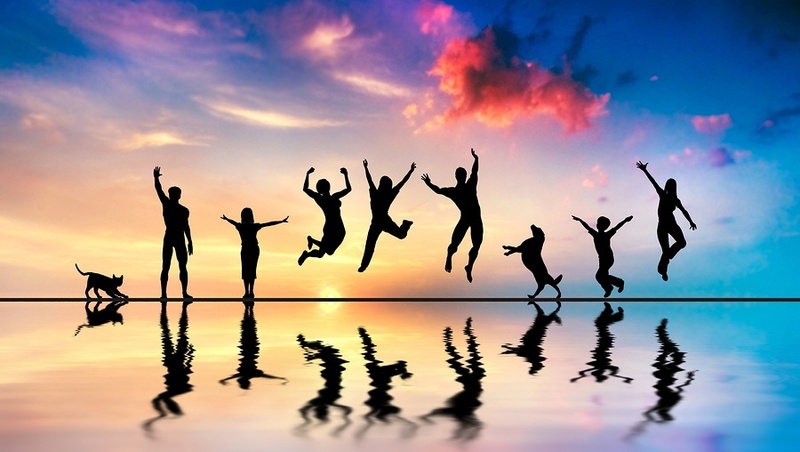 Psychologists study happiness like it is a mysterious phenomenon. They suggest things like work in a meaningful career, spend time with friends, and take time to savour the day as a means to increase happiness. Why do these things show up as activities to do if you want to be happy? It’s not because they actually make you happy. They cultivate happiness because people express love while doing them. They express love for their friends and family, they express love for work and activities they find meaningful. When people express love they are happy. From my belief and prospectus the power of Love savours all, to be in Love is to have the greatest gift of all, to have unconditional Love from our loved ones, family and friends is a completeness and fulfilment from the heart and within, to experience Love is to live – to not have experienced such sensation and Love, is to not to have lived. We all need Love and we all need happiness, for some of us it’s about circumstances, timing and allowing our hearts to open and live in truth, the transformation from no Love to happiness is quite profound and life changing. The following of love to others can change people for life and sharing such an experience can also make people within your circles happy too, as you stated if you can succeed in this you have succeeded in life!